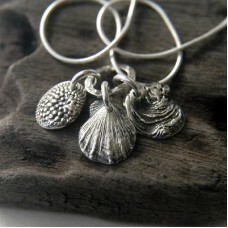 This stunning charm necklace has been handcrafted in fine silver and features 3 lovely beach finds i.. 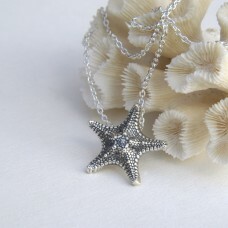 The starfish on this necklace was replicated from a vintage specimen and cast in bronze. 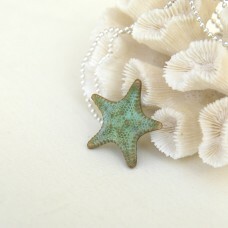 The detail ..
A beautiful little starfish handcrafted in bronze!These little guys are very popular. I ma..
Beach boho heaven! 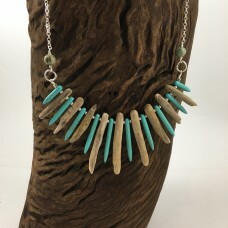 These driftwood necklaces come in a variety of combinations and colours. Some are.. 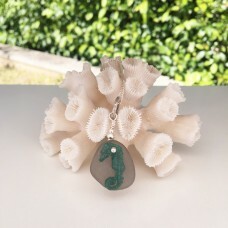 This delicate bronze seahorse was cast from a real dried collector's specimen. 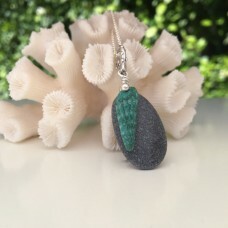 It hangs off a large ..
A playful design with beautiful colour contrasts, especially since the seaglass is slightly transpar..
A quirky and simple design. 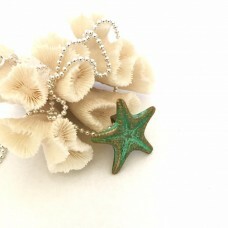 The starfish is handcrafted from bronze and is layered with turquoise pa.. 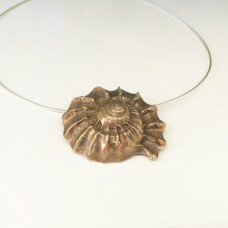 This shell was handcrafted from a specimen found on a local Perth beach, cast into bronze and put on.. This is a popular design. 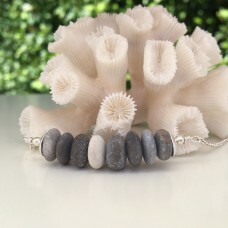 Pebbles vary in shape, colour and size, but are generally arranged in a st..
A very chunky shell casted in bronze. The detail on this shell is exquisite. 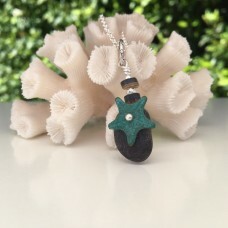 This bold and weighty p..
Another beautiful contemporary looking piece! 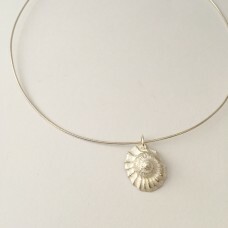 This shell was cast in fine silver. 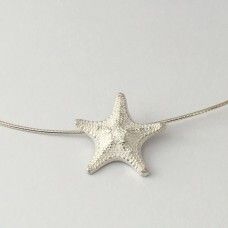 The silver has a m..
An exquisitely detailed large silver starfish sits on a chain - simple and stunning!I have handcraft..
A gorgeous little starfish cast in fine silver that sits on a sterling silver neck ring. The bumps o.. 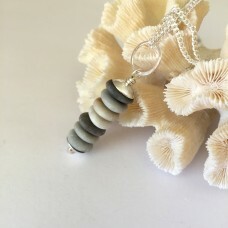 These smooth pebbles are just gorgeous in creams and greys. Simple and stunning!This is a very popul.. 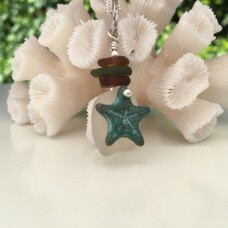 This is another popular design! 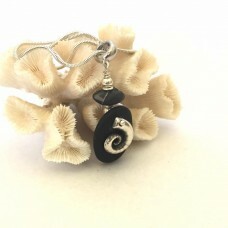 This gorgeous rams horn shell was moulded from a specimen found in P..